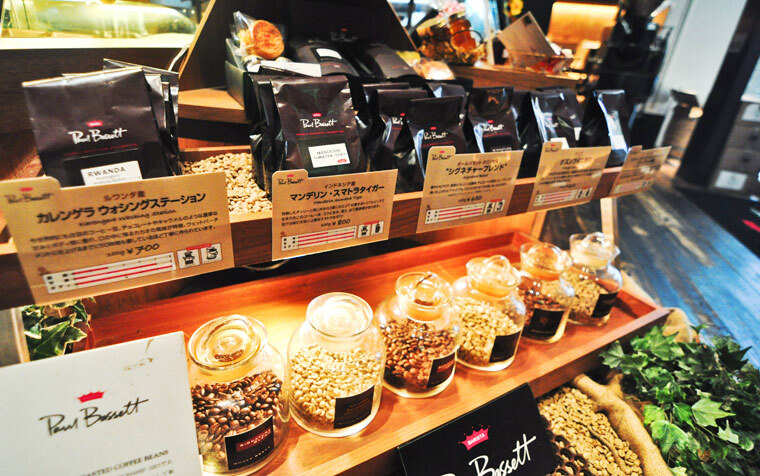 Paul Bassett’s shop at Gosok Terminal in Seoul, Korea (article here), was one of my most frequented shops due to its consistently great espresso (though its convenient location didn’t hurt). They also have a shop in Tokyo that I had a chance to visit this past summer. It turns out that Paul Bassett’s Shinjuku cafe is a ~10 minute walk from the Toyko Metropolitan Government building, the second tallest structure in Tokyo with a free observation deck on the 48th floor, so we made a stop for some coffee before heading over to take in the cityscape. 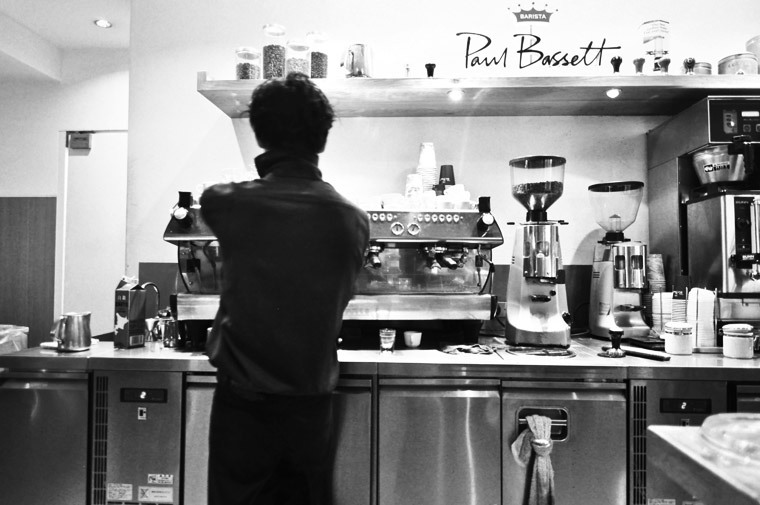 Paul Bassett, who’s from Australia, is the 2003 World Barista Champion. He opened his first shop in Ginza, Tokyo in 2006, though it appears that it’s now closed, leaving the Shinjuku shop and a new location under construction in Jiyugaoka. 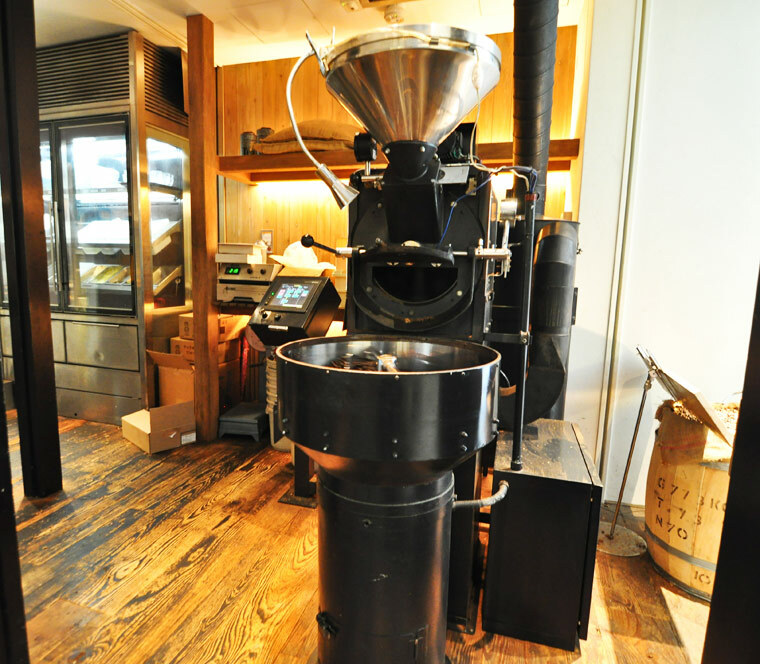 One thing unique to his shops (both in Japan and Korea) is that every location does its own roasting on a large Probat open for public viewing. The retail bags of roasted coffee are then stored in climate controlled cabinets, something I’ve never seen anywhere else. Having tasted their sweet and well balanced espresso many times in Korea, I opted for a macchiato on this visit, which you can see in the first photo of this post. These are great cafes with staff that consistently make great drinks. I wonder if there are any plans to expand outside of Asia? 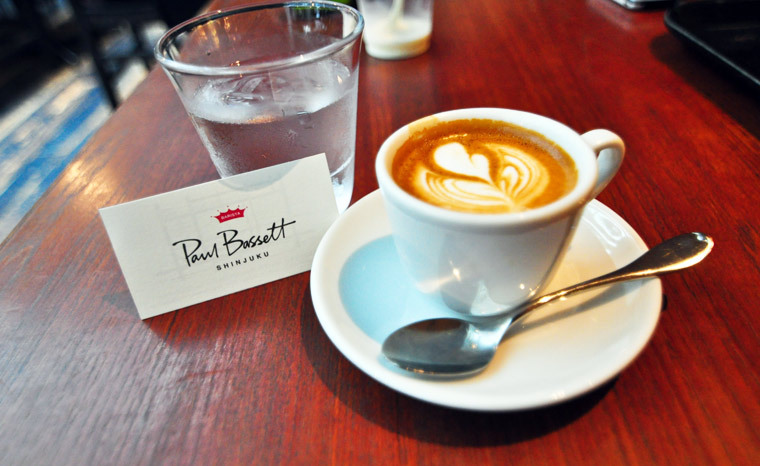 Until then, if you ever find yourself in Seoul or Tokyo, Paul Bassett’s shops are a sure bet for a good coffee. To the left you can see the climate controlled cabinet that they store coffee bags in. 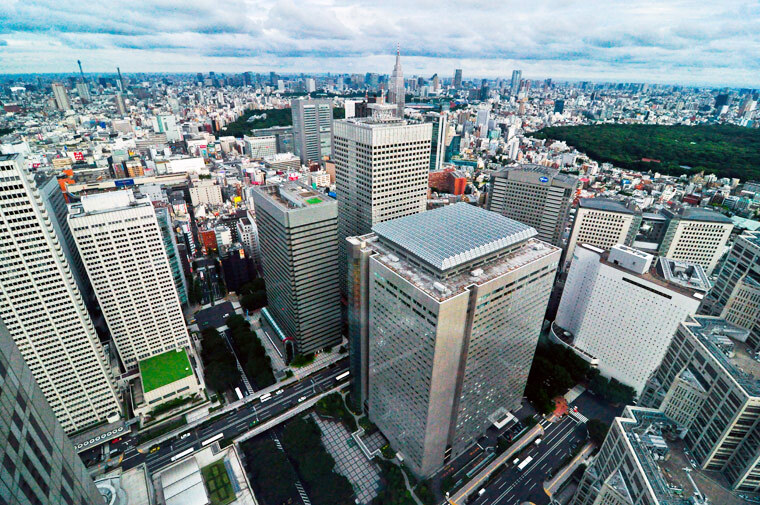 And just for fun, here’s a shot of the view from the Tokyo Metropolitan Government building. 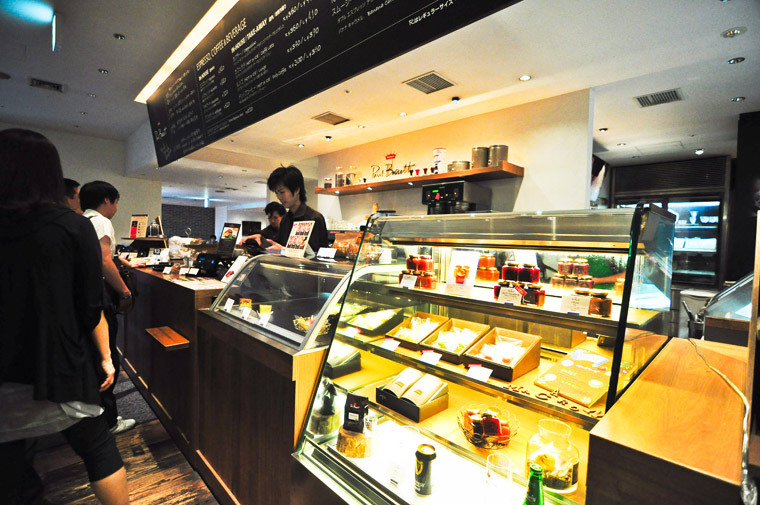 Click here to see a map of Paul Bassett’s Shinjuku location. Love coffee and love this blog! ….Only wish I knew about this when I was at Kosok Terminal in Seoul last August, dying while my wife shopped…wish I had an amazing espresso to kill the time. Going to be in Shinjuku this Jan, so you will be helping me survive the neverending shopping extravaganza!